Patrick Macnee in his most familiar role as spy John Steed. 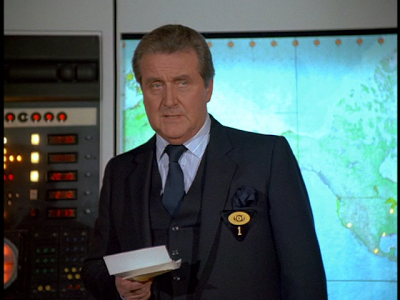 I sure hope I didn’t contribute to the recent death of Patrick Macnee. A couple weeks ago, I was working on an entry on “The Return of the Man from U*N*C*L*E*: The Fifteen Years Later Affair” at the Claresholm Public Library. This lady I often a share a table with walked by and saw a clip of Macnee on the screen. “Is Patrick Macnee still alive?” she asked, just bellowing it out. But, I had the laptop handy and could find out quickly. Sure enough, I was wrong. Wikipedia revealed Parick Macnee was in fact still alive. At that moment, another acquaintance, a man who’d grown up in Ireland walked by. Maybe a week later, my Facebook feed told me Patrick Macnee had passed away at the age of 93. 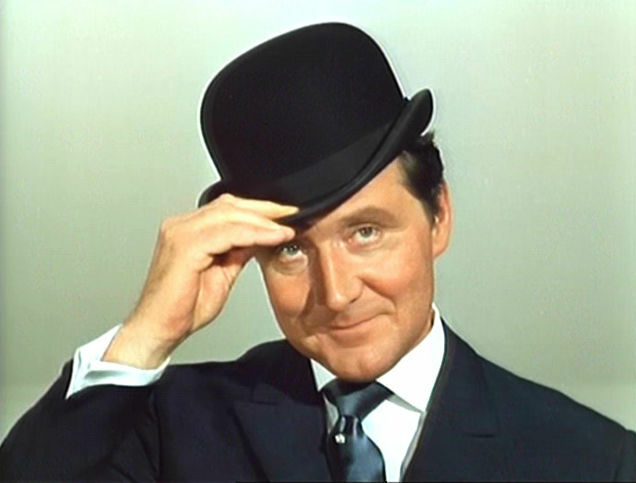 For a whole generation, he was synonymous with that signature role of John Steed in “The Avengers”, a suave and debonair spy who I associate with a bowler hat. The show went off the air before I was born, but I became very familiar with its reincarnation a few years later. Beyond that, Patrick Macnee kept appearing on television throughout the ‘80s in various guest roles, and a few odd recurring roles. 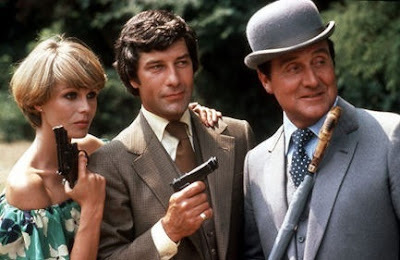 Patrick Macnee with co-stars Joanna Lumley and Gareth Hunt in "The New Avengers"
“The Avengers” was reborn as “The New Avengers” on CTV in the mid-1970s. However, with the dearth of Canadian programming, reruns aired well into the mid 1980s. John Steed was now a senior agent, and kind of a mentor for two other agents on his team – a female agent played by Joanna Lumley known only as “Purdey”, and a dashing male agent played by Gareth Hunt named Mike Gambit. Later episodes had the title “The New Avengers in Canada” where they moved to Toronto. There were several episodes I do recall vividly. One focused on robotics, another on biological warfare, and a third on suspended animation. I recall the robotics one in particular, because actual metal parts, such as arms, were grafted onto a human. Another episode, which I believe was the one on biological warfare, had people who had been infected trapped in a giant maze. It was disorienting because it was white, and the villain of the episode watched his prey and kept changing the walls, further disorienting his victim. “The New Avengers’ was a show that always seemed to be on. His voice was easily recognizable. When “Battlestar Galactica’ became a series, the credits opened with a brief monologue. I always wondered, but just recently had confirmed that Patrick Macnee was the narrator. He also provided the voice for the Imperious Leader of the Cylon Empire, and later appeared in a two-part episode of the show as Count Iblis, who may have been a demon of some kind. One of the things about living in the three-channel universe of the rural cable network was that CTV, CBC, and 2&7 did not air all the shows aired by the big three American networks. It was a bit frustrating to read about these shows every week in “TV Guide”, especially the special fall preview issue, and not be able to actually watch them. One such show was called “Gavilan”, and it starred Robert Urich who was a favourite of mine. 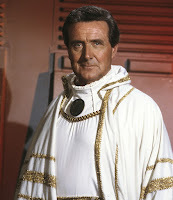 Initially, his co-star was Fernando Lamas, but he died, and was replaced by – Patrick Macnee. Gavilan was a former CIA operative who became an oceanographer. It only lasted six episodes. Another show, which I did see on CTV, was called “Empire” and it starred Dennis Dugan and Patrick Macnee. “Empire” poked fun at corporate America, but really didn’t last that long either, also just six episodes. His turn as Sir John Raleigh, the new head of U*N*C*L*E*, may have turned into a recurring role, but the TV movie never went to series. Patrick Macnee guest starred in a lot of TV shows throughout the 1980s, often turning in unforgettable performances. He had a guest role on “Magnum P.I.” where he played a man who believed he really was Sherlock Holmes. He also guested in “Hart to Hart”, “Murder, She Wrote, and “The Love Boat”. Patrick Macnee is most associated with the role of John Steed, but had a long and productive career. It’s funny that a second generation of viewers, including me, got another chance to get to know John Steed through "The New Avengers". It’s always sad when we lose one of the great ones. Patrick Macnee, strictly based on the role of John Steed, was great. Everything else he did made him one of the best.